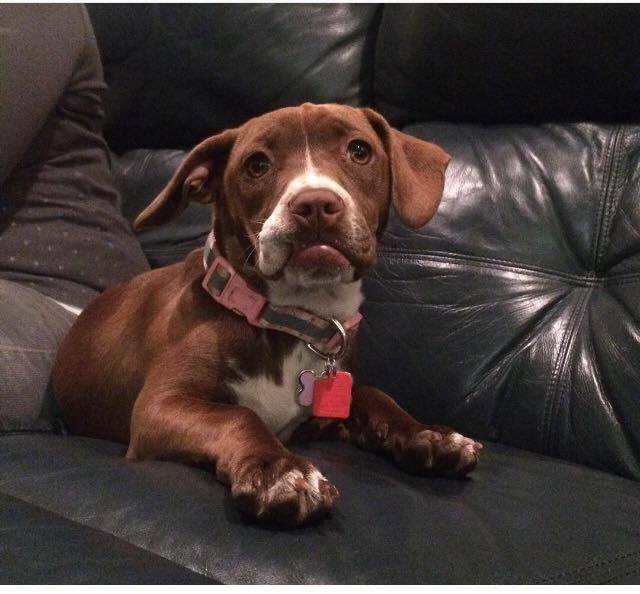 Kahlua is a 7 month old (as of December, 2015) Doxen Pit mix. She currently weighs about 18 pounds and won't get too much bigger. She has a calm, submissive behavior and is good with children, other dogs, and most likely good with cats (she has only seen a few around the neighborhood and has not reacted to them). She would do best in a gentle household with other dogs where she can have company. She is being potty trained and taught to walk on the leash. 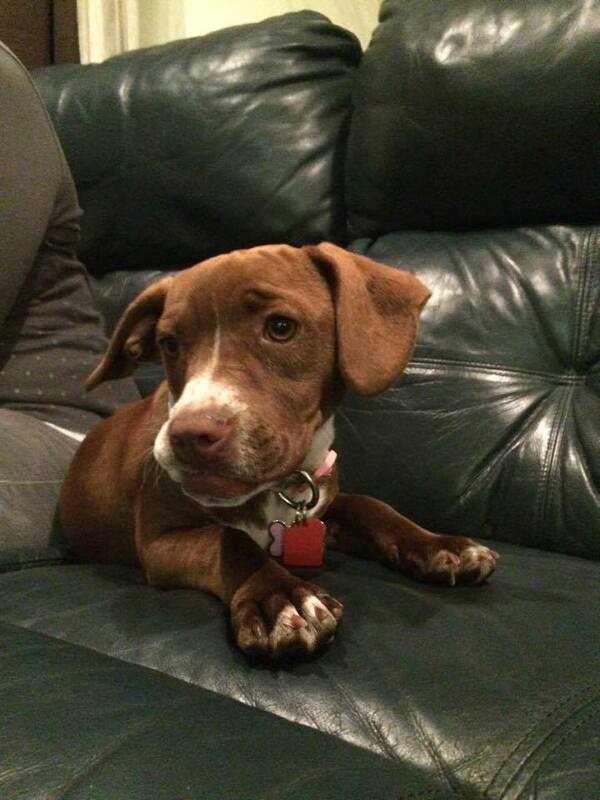 Her foster parents say she does not chew things and is very gentle with their infant and toddler.